1. Project details: Whether the project is a newly launched one or an ongoing project (which has not received completion certificate prior to commencement of the RERA act), MahaRERA requires, submission of all the project details. The exact boundaries of the plot, full information on the number of wings/towers, configurations, common amenities provided, number of car parkings booked, as well as the details of project infrastructure works are available online. Details of approved FSI are also given and the recreational open area in each project is also mentioned. The developer also needs to submit all the approvals he has received for the project, including the land title search report, building plan approval, performa of allotment letter etc. It is easy to search for these details on the MahaRERA website. 2. Project performance: The performance of a particular project is also accessible as the sales achieved in the project have to be updated on a quarterly basis by developers. Tracking sales for a project has hence become a lot easier and transparent as earlier consumers were very often hazy about the actual sales a developer has achieved. Looking at sales achieved can help a consumer understand the kind of traction a project is witnessing and accordingly take a well -informed purchase decision. 3. Developer details: MahaRERA has made it mandatory to disclose all information regarding the promoters of the project. This includes any pending or prior litigations against them, which is of course a key concern for any consumer. Apart from this, the track record of the promoter is now disclosed which includes his educational background, prior projects undertaken, financial details such as authenticated IT returns, audited balance sheets etc. For developers who were not listed entities, this information was definitely difficult to come by earlier. 4. Timeline for completion: The MahaRERA data also shows up clearly the original timeline for completion of a project as well as the revised completion date. This helps the consumer understand exactly when he will be given possession of his flat. In fact, the penalty for delays is so strong that developers are preferring to declare a fairly extended timeline for completion. 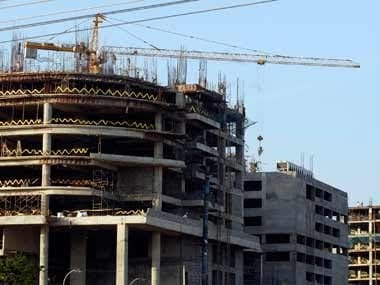 In many cases a true assessment of the timeline can be gauged by following the status of construction, which will also be updated on the MahaRERA site. 5. Access to real estate agents: Very often the buyer was confused about which real estate agent to approach. While some preferred the local agent, others were more comfortable with brokers attached to big banks. A lot of this confusion has been simplified with a mandatory registration of brokers authorised to sell the flats. Buyers can look under each project head and find details of the agents authorised to sell the flats. 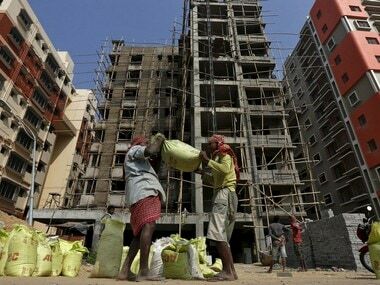 Apart from the agents, the RERA rules also require mandatory mention of the contractors, architects and structural engineers employed for the project. 6. Micro-market understanding: Prior to zeroing in on a particular location, a consumer always conducts a rough survey of the likely areas under consideration. This task has been made much easier for him, as he can access information on the area wise performance of residential markets across the city. Current data discloses sales and upcoming supply for all the micro markets within Mumbai city, Suburbs and Thane. It also gives details of configuration wise sales in each of these markets. Some of the challenges however include the lack of information on the pricing of the apartments. The bulk of the data available is given project wise. Hence it is also a challenge to collate this and interpret it for micro-market analysis. Yet another difficulty is that the data on the escrow account required to be maintained is not available. Despite these challenges, there is no doubt that never was there a better time for consumers to arm themselves with such granular details on residential markets.